I had just started sculpting polar bears and being aware of them when I saw my first article about Knut being born. As soon as I saw his photos and read his story, I was hooked. Completely. Hopelessly. Joyfully. I read about him daily. I couldn't get enough and I told everyone I met about him. I was so hooked, I thought that more people might want to know about him too so I started a blog called Polar Bear News. It was my first blog and I had a lot to learn. 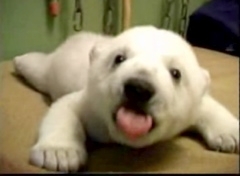 So, as Knut learned to be a polar bear, I learned how to blog. Next, I heard about Squidoo and decided to try my hand at it. Are You Polar Bear Aware? was born. I decided to make it about polar bears not just about Knut. It was an instant success and I believe that Knut had a big hand in making it successful. 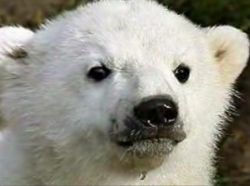 People were starting to notice polar bears thanks to all the press he got and the sympathy his abandonment garnered. Knut not only nurtured my love affair with polar bears but also instigated my journey with Squidoo, which has become another love of mine. All royalties earned on this lens are automatically donated to Polar Bears International to help save polar bears. 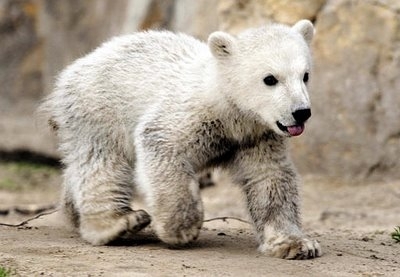 Germany's famous polar bear died today, Saturday, March 19, 2011 at the young age of four. Although Knut's life was short, it was impressive. He made a huge impact on the world. 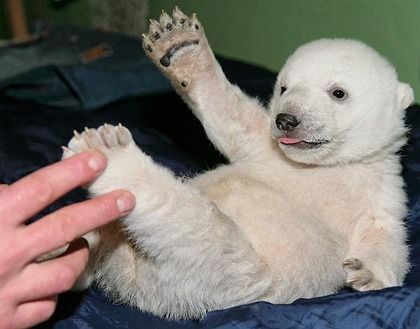 People who didn't know what a polar bear looked like were awed by this little bear's playfulness and curiosity. He also put a face on Climate Change for many people. His fame started shortly after his birth on December 5, 2006 when his mother rejected him and he was to be raised by humans. 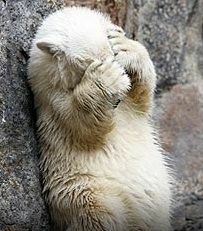 Knut-the-Cute, as he was fondly called, was pronounced Germany's Global Warming Ambassador. He had his photo on the cover of Vanity Fare with American Actor, Leonardo DeCaprio; had thousands of aticles and YouTube videos about him. He even had death threats, body guards and a custody suit. Visitors came from all over the world to see him in person, helping raise in 2007 alone, over $7.6 million for the Berlin Zoo. Knut's image was, or is, used to sell products worldwide, selling everything including stuffed bears and sweets. 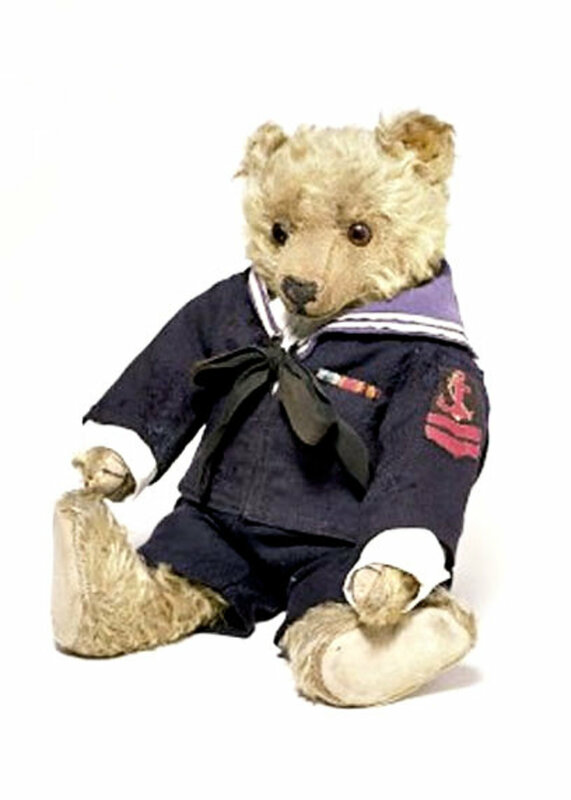 Yes, this little bear was a star the moment he was born until the day he died. May his memory stand the test of time. I know I'll never forget this little bear for his impact on my life. 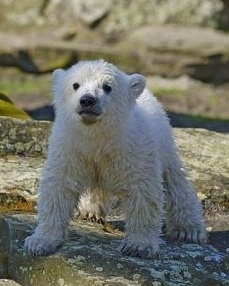 This is a great photo of Knut approximately 1-1/2 years old. He put on a little weight but he's still a cutie! December 5, 2006 - Knut and unnamed brother born at the Berlin Zoo to mother, 20 year-old Tosca, and father, Lars. Mother rejects the two cubs leaving them on a rock. Zoo keepers save the two cubs. Dec. 9, 2006: Brother dies of infection. 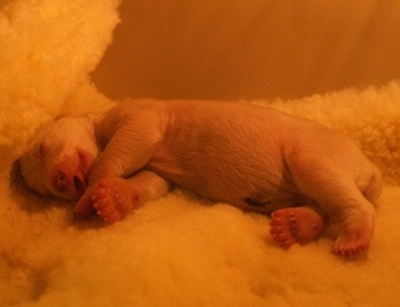 Knut spends first 44 days in an incubator. 2006: Thomas DÃ¶rflein becomes Knut's surrogate parent after Knut leaves incubator, handing feed him and living with the young bear. 2007: Knut is announced as Germany's Ambassador for Global Warming by the German minister of the environment. March 2007: "Animal rights activist, Frank Albrecht, said Knut should have been killed rather than humiliated by being raised "as a domestic pet". 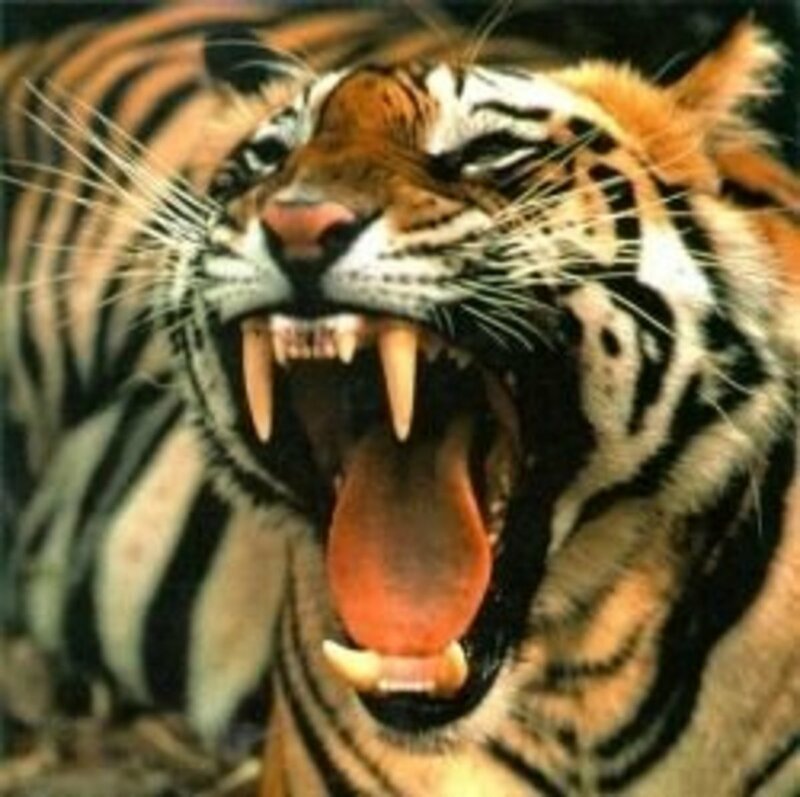 He declared that the zoo was violating animal protection legislation by keeping him alive." (Source: Wikipedia) Thousands of people around the world came to Knut's defense. Apr. 18, 2007: The Berlin Zoo received a death threat against Knut in the form of an anonymous faxed letter which said in German, "Knut is dead! Thursday noon." Police increased their security measures around Knut and the time outlined in the threat letter passed without incidence. Apr. 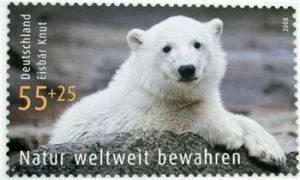 9, 2008: Deutsche Post postage stamp hits the world with a photo of polar bear cub, Knut. Sept. 2008: DÃ¶rflein, 44, Knut's surrogate parent, dies from a heart attack. 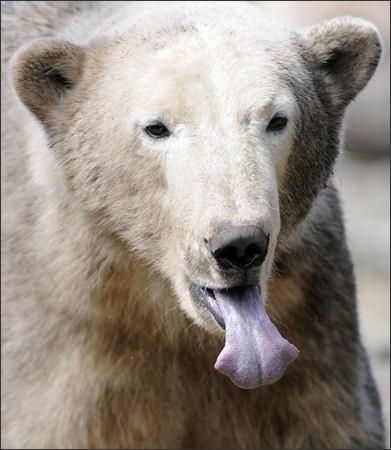 2009: A custody lawsuit is filed by Neumunster Zoo claiming Knut's father, Lars, made any offspring their property. The ruling was that the Berlin Zoo had to pay Neumunster Zoo a total of 430,000 euros (350,000 euros this year, and 40,000 euros per year for the next two years).This equals a little under US$1 million. March 19, 2011: Knut dies unexpectedly. 1. Either send an email letter to your favorite number in the subject line, enter the text name, address and telephone number. 2. Or choose by card / letter to: COURIER, PO Box 021 283, 10124 Berlin, Password: Knut. Knut is dead. I still can't believe it. He died today, Saturday, March 19th at the Berlin Zoo, his home for his short life. He was only 4 years old. I expected to be writing and reading about him for another 20 years. 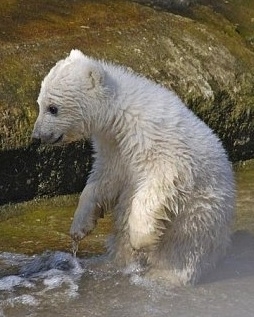 March 21, 2011: According to the zoo keeper who took care of Knut he was in the water and fine, then he was dead. Preliminary necropsy results was that Knut drown when he fell into the water and could not be fished out in time. Preliminary autopsy results show distinctive anomalies at the brain." March 26, 2011: According to a Reuters article, Epilepsy killed celebrity polar bear Knut: report, "Neurologists reported that they performed a CAT scan on Knut's brain which revealed abnormalities and stated that he died after an epileptic fit." They surmised that Knut inherited Epilepsy from his father, Lars, as he suffered from the disease too. They also said, "Neurologists said the fit was triggered by a brain disorder yet to be identified. Knut's brain is now being studied at the Leibniz Institute for Zoo and Wild Animal Research (IZW)." 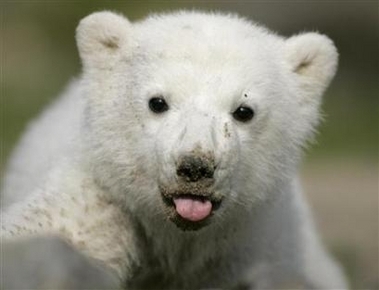 March 30, 2011: New results show Knut did not have epilepsy. Instead he "had developed a fatal brain disease," according to a source of the German Press Agency. They said that according to the doctors Knut did not drown and would have died instantly. That ends speculations (including mine) that if they had fished him out sooner, would he have lived? We'll see if this is the final-final results. I'll keep you informed. April 20, 2011: Knut's brain is saved for posterity in 3D. According to M&C News, "... Knut's skull has been saved digitally. It has also been reproduced on a 3D printer, a device that manufactures shapes using successive layers of resin. The resin skull is a perfect replica of the original inside the head of Knut". July 26, 2011: Polar bear Knut's body on ice four months later "Scientists at the Leibniz Institute for Zoo and Wildlife Research (IZW) are still investigating the virus that killed Knut. Meanwhile researchers at Berlin's Natural History Museum are still looking for the right way to preserve Knut's body for exhibition, Berlin daily BZ reported." But it is. Well, at least they are talking about having Knut stuffed and put on display at the Berlin Natural History Museum. The thought is disgusting and degrading. Let him rest in peace. Gesine Steiner, a spokeswoman for the Museum told Bloomberg, "It is true that our taxidermists are working on his corpse and have removed his fur. We haven't yet made a decision on whether we will stuff him and exhibit him. We have to talk to the zoo. We do of course have lots of stuffed zoo animals on show here." I hope that this does not happen. I don't like seeing stuffed animals any more than I would like to see a stuffed human body. I'll keep on this story and let you know more as it unfolds. You can read more at Knut the polar bear may be stuffed, displayed in Berlin museum a story by USA Today. Almost protests have been posted in the zoo's online memorial book for Knut. A protest is being organized for Saturday morning (Earth Day) at the zoo. If you are in Germany, please join the efforts. The relationship was one of the many controversies that surrounded Knut his whole life. On September 22, 2008, after Knut and Doerflein were split up, Doerflein is found dead in his apartment. Rumors saying it was suicide were later discounted as the autopsy showed a heart attack. 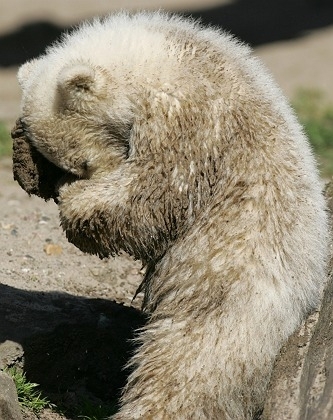 Below is a picture taken of Knut shortly after the announcement. His sad look seems to say it all for many of us who fell in love with both Knut and Doeflein. 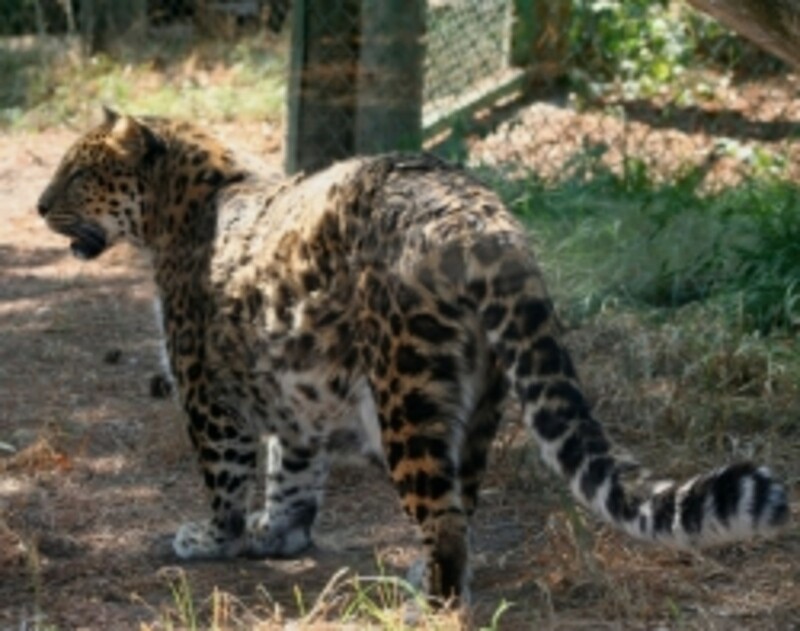 For more on this story, click Zookeeper's death. If you haven't read Knut's full story, then get one of these books. They will fill in the blanks for your about his life. Polar Bear Cartoon Book Released! My good friend and polar bear lover, David M. Booth, just released his first book of polar bear cartoons and it is terrific! David is an Alaskan artist and cartoonist. He is the official cartoonist for Polar Bears International and you can see his cartoons on their website. David also donates his work to many other non-profit organizations that deal with Polar Bears, endangered species, and the environment. The plight of the polar bears is not a humorous subject, it is David's philosophy that cartoons that add a bit of humor can accomplish much more than "doom & gloom" dialogue. The book aslo contains beautiful exclusive polar bear photos, everything one needs to know about polar bears, and even a polar bear crossword puzzle. You can get you own copy by clicking on the book photo above, or click Skating on Thin Ice. I've always believed that Knut was a happy bear. You just have to look at photos of him. When he would go off by himself, the press or some group would say he was depressed, sad or unhappy. I disagree. If you were put in front of crowds daily, wouldn't you want to have some alone-time, some decompress time? I know I would. This is my final argument -- this photo by Reuters. Isn't it wonderful? Doesn't he look happy? Content? Satisfied? I'd say YES! 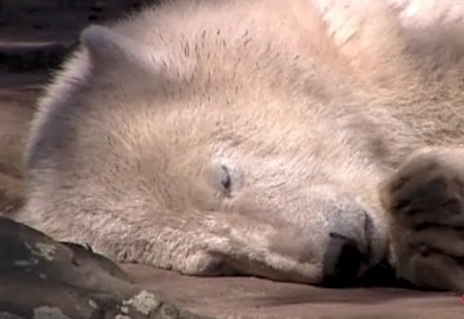 Nature vs. Man - Was the Berlin Zoo right not to let Knut die? 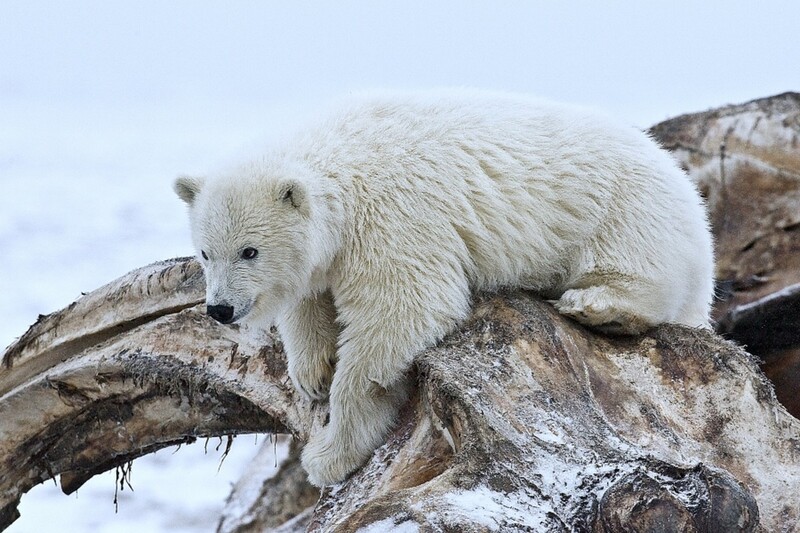 Do you think Knut should have been left to die instead of being raised by humans? Knut died of excessive brain fluid: News24: Sci-Tech: News. Knut, the Berlin Zoo polar bear who became an international celebrity before dying aged just 4, died of an excess of brain fluid, not stress, according to sources. Fans of Knut, Germany's superstar polar bear who died this month, are planning a demonstration on Saturday against plans for his body to be preserved and put on display in a Berlin museum. Fans of the polar bear Knut, who captured the hearts of America growing up in captivity, are planning to protest against having his body publicly displayed. Polar bear Knut's body on ice four months later. More than four months after his untimely death, the corpse of Berlin's beloved polar bear Knut is still on ice, media reported this week. The Director of the Berlin Zoo earlier this week offered some great insight into how he perceives the animals under his charge. There's a new polar bear on the block -- meet Anori, half-sister to Knut, who made her public debut this week at Wuppertal Zoo in Germany. Copyright 2011 - 2013 Frankie Kangas All rights reserved. Please use this guest book to share your thoughts and/or questions about Knut or this lens. Thank you. 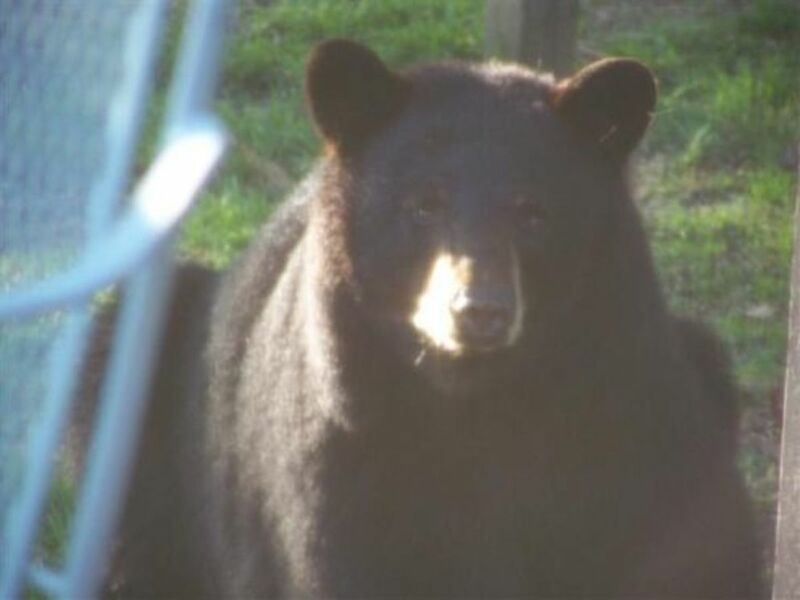 Black Bears In Our Backyard! Are My Photos as Good As Tom Sears? What Color is a Polar Bear's Fur? 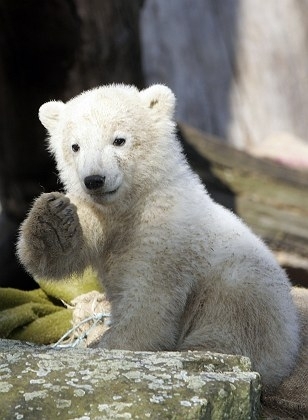 Please share your thoughts about about Knut - Are you a Polar Bear Lover? A tormented soul :((((, such an unnatural life, lonely and sad. A life "for the pleasure of people" - just makes me very angry. @kevin-collins: Lucky you to have seen him in person. I never got the opportunity. Thanks for sharing. He was a cuddly little baby bear. I saw him 2 days before he died in the zoo as I visited with my family. I am. I saw Knut in 2009 and it was breathtaking. This is wonderful lens, thank you for sharing! A lovely lens. I do love Polar bears and also those white Spirit Bears too! Thanks Frankster. Another quality bear lens from you, to which mine has now been linked. Came back to google +1 this, congrats on your well-deserved purple star (and I see from comments) you made the top 100 Community Favorites for 2011 - belated congrats too! Oh, I must add this straight away to 'Living Articles on Squidoo' - beautifully told and great photos. Rest in peace dear Knut. I saw Knut when I was in Berlin! Such a beautiful polar bear! RIP Knut. Happy New Year and Congratulations on making the top 100 Community Favorites for 2011! I remember when this happened, so sad. This tribute to him is truly lovely. Cute cub bear which was glamorized too much. Yet I would give his owners a lot of credit to take his "case" of polar bear and promote conservation of this magnificent animals. I hadn't heard about this bear before. Informative lens. Great job! As for what to do with Knut now it's out of your hands. gudbye knut according to god nature was playing a vital role against you. very cute article..
We all fell in love with Knut and when he passed, we all felt a horrible loss. Thank you so much for sharing such a wonderful lens in his honour. A lovely tribute to Knut. Thank you. Beautiful and very mnoving story. I actually avoided reading this lens for days because I was afraid of getting too emotional about it, but I'm glad I did. I'm so sorry for your loss. I have a dog named Charlie and his baby (puppy) pictures look just like Knut ... he even looks a little like him grown up. Check out my lens on Care of the Puppy: Your Puppy's First Year for pictures. We even call him our "little polar bear." Here's an Squid Angel Blessing for you (and for Knut too!). I fell in love with Knut too. This site was informative and brought me so many smiles thinking about him. Thank you for sharing the polar bear love! Yes, I love Polar Bears, and Knut was a sweet bear. I love all the bears, every kind. 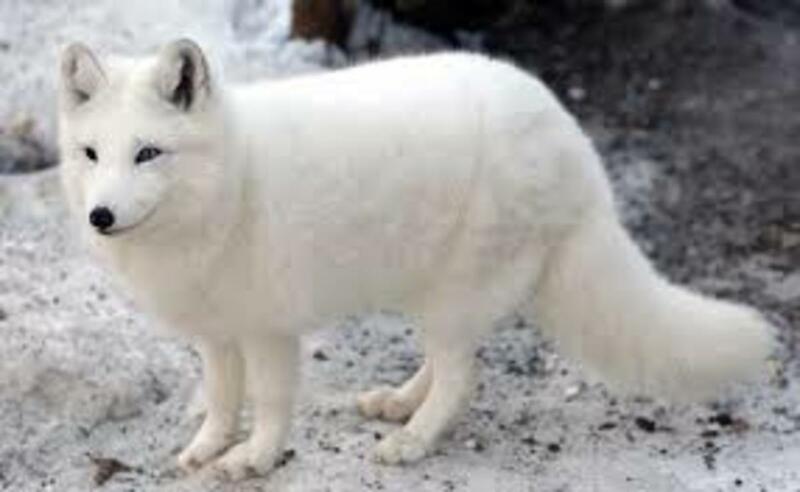 There's something special about any animal that is all white. Cute lens and wonderful tribute to Knut. ~ Bear hugs and a blessing! I love the Polar Bear picture! Beautiful creatures - beautiful lens. 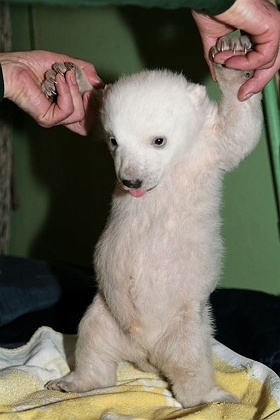 I remember seeing the first images of Knut when the public got its first view of him. It was on line of course but, he was so cute. It is so sad he is gone. 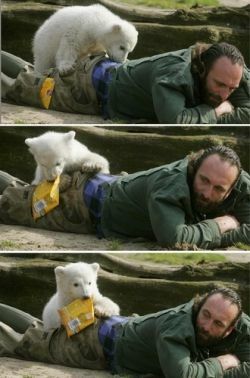 Aww I love Knut too! Its so sad that he's gone :(..He'll always be remembered though. Great lens. Wonderful to see this on the front page. Returning to sprinkle a blessing for your New Year. May our love for animals be the essence of a year filled with meaning and purpose. THis is a great lens, i stumbled across it by accident but man did it catch my attention. You're a great writer with a fantastic passion to want to help animals. Kudos!!! I agree they should just let Knut rest in peace now! Knut was an awesome polar bear and it is sad that he passed so early. 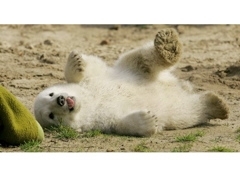 What a cute polar bear, such a shame that he died so unexpectedly. I don't know how they can survive in temperatures that aren't freezing like their home in the Arctic. He was a fine beast. That human intervention worked imperfectly is a testament to the righteous need of humans to do the right thing. I hope those humans would make the same decision, next time. 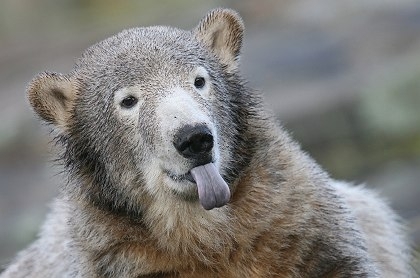 Knut was definitely a cutie and a special bear. Congrats on making the top 100! I am so sorry for your loss. I am sorry for the world, as well. I know writing this page is helping you deal with it. Thanks for sharing and congrats on being in the top 100 Community Lens List. I enjoyed this lens before, but came back to congratulate you on making the top 100. Good luck. I love Polar Bears too and found this tribute to Knut very special. I'm so glad you wrote it. 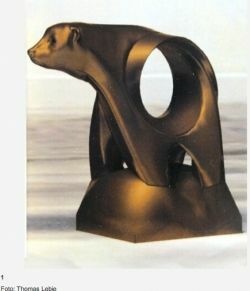 Congratulations on having Knut featured on the 2011 Top 100 list. Thanks for this endearing tribute! And congratulations on being one of the final 100 favorite Squidoo lenses of 2011! Congrats on being one of the Top 100 lenses for the year. This was my choice for favorite lens of 2011. I knew as soon as I heard the news that you would create a fitting tribute to Knut. I sure enjoyed reading this amazing story about Knut, the Polar Bear. Your favorite photo of him is mine, too. Congrats on being in the Top 100 Community Favorites. Knut was amazing bear. I bet he will have a movie dedicated to him one day... He has a lens already! I have never seen him, but kind of miss him anyway. Fabulous lens!!!! I loved the part on the polar bears; but I never knew Knut was dead. There was articles about him and i watched a documentary on T.V but never knew he was dead. Im sickened. I followed his progress on YouTube for ages. The pieces you did on him were excellent. 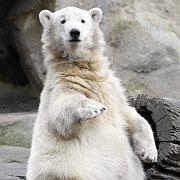 An inspiring site made for a great cause..thanks for having some much information about Knut in one place. This lens is obviously a labor of love. Thank You for it. Nice lens friend, keep it up, i would like to thanks to you that you posted the very informative information. I hadn't realized he had passed on. While I am (very) anti zoos, I believe since we humans are the reason for the problems most of the wild and endangered animals face, it is our responsibility to protect them at all costs. 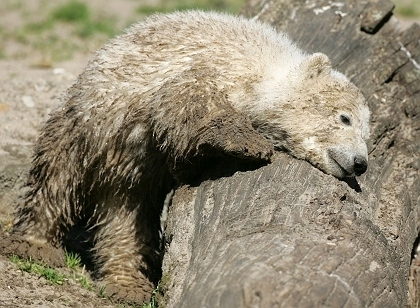 The zoo's choice to "stretch" Knut also saddens me. It's too reminiscent of Napoleon's dogs and horse. This is a touching and educational tribute, thank you! That is so heart warming, I really love it! Sad loss, I'm sorry. He was really cute! I was so sad to see him go! I'm glad they found the reason at least as to why it happened. This is a really beautiful tribute. What a sad loss. 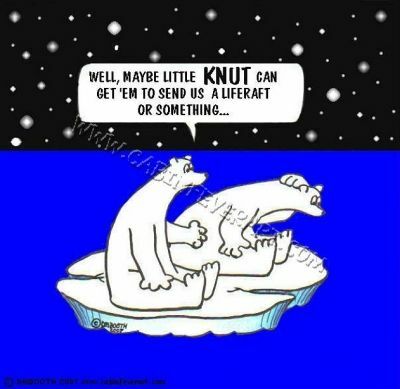 Poor Knut. The consolation is that he was loved and he brought happiness to many, and apparently was happy himself during his short life. Wonderful lens. Sad loss, he was a Cute little guy. cute,is sad it die.i can believe the zoo want to stuffed,your right let him rest in peace. Poor little guy. He sure was cute! oh..how can i say goodbye? i wanted to see Knut! Loved this lens. Nice story and lots of pictures. Will look out for more polar bears in future. Hi Franster ;o)..I just discovered your posts recently in the aftermath of Knut's death. I am as shocked and unnerved as you. 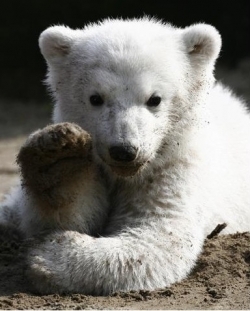 You've done a lovely job of collecting lots of the most well-known photos, footage and history of Knut. He was also my muse for the last 4 years. I also participated with many other people in the internet community who loved him. I miss him dearly but I must admit, I am glad he did not have to grow old in that stony, monotonous enclosure. Now he lives permanantly in the warmth of our hearts. Thank you! I think this lil knut touched many hearts in his life, beautiful story and tribute to him. Blessed! Perhaps Thomas Doerflein and Knut are now together for all time. Great tribute. Congratulations on LOTD. Amazingly, I didn't hear anything about Knut until he died. This is a beautiful lens about him. He was adorable. 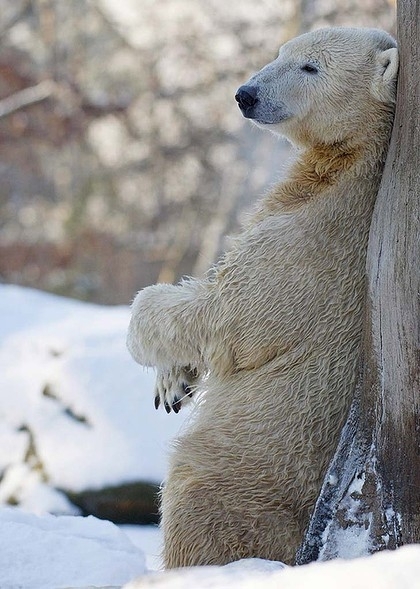 A gorgeous bear ... very sad. He sure was awful cute, to bad about his untimely death. What a touching and sad story. Hi what a lovely lens. Must admit made me cry. What a cute little chap. Nice to see people thinking so much about animals. would'nt our lives be sooo much more boring without them. RIP Knut. Cheers for telling his story. His personality came right through the camera. He was a real character. 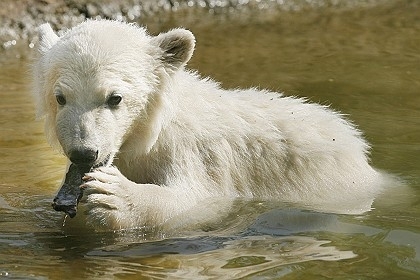 I am absolutely devastated by Knut's death! I had wanted so much to visit him in Berlin! I pray he is at peace in heaven with Thomas. I wonder what makes the parent abandon the small kids. 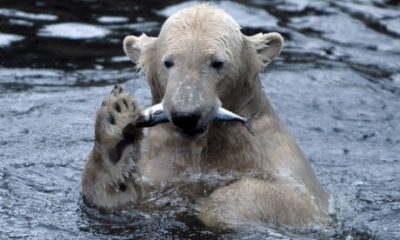 A wonderful story of Knut and his attempts of survival in this tough world. very nice story and pics. Keep well. This is a really touching lens. What a wonderful lens. It brought tears to my eyes... what a sweet bear who touched so many hearts! I, too, have followed Knut since his earliest days, and I share your grief at the loss of this extraordinary being. He was noble, and will be missed. I like to think he will shortly be reincarnated to live the life he was meant for; and the life just passed served to make us aware of the plight of polar bears. A wonderful tribute to a cute polar bear that has captured the hearts of millions worldwide. Thanks Frankie for making this lens! It seems like Knut was loved by many. It's sad that he couldn't live in the wilderness, but killing him would have been cruel. He still lived a happy life with his caretaker. I hope he won't be forgotten.